Location is the best with beautiful view on the promenade, they upgraded my room for free even do I booked a room with city view. Also room is very clean with comfortable bed. Fantastic stay in a perfect position right in the hart of old city. Well appointed room with small kitchen. Comfortable beds. 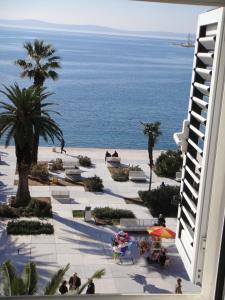 Wonderful to look out window and see all the wonders of Split. Friendly and super helpful staff. Beautiful clean and spacious rooms, easy to find due to instructions given at booking, comfortable bed, gorgeous kitchen and bathroom facilities. Thankyou!! 일단 위치는 스플리트 구시가지 대표거리인 리바거리 중심에 있어서 스플리트 내에서 어느방향으로 이동하기에도 좋았고, 버스터미널에서 가까운 거리에 있어서 찾기도 쉬웠어요. 방은 오래된 건물인 것에 비해 현대식으로 내뷰가 잘 리모델링되어있어 사용하는 데 크게 불편함이 없었습니다. 가격이 다른 도시에 묵었던 비슷한 수준의 숙소에 비해 훨씬 저렴했던 것도 큰 장점이겠네요. Excelente atención y sobretodo la ubicación!! Muy limpio y la habitación muy amplia. Cama muy cómoda y grande. Y genial el aire acondicionado para el verano!!! A vista é maravilhosa! A localização perfeita! O quarto é bem simples. Subir muitos lances de escada não me agradou em nada. Mas, quem gosta de escadas e tem um bom preparo vai gostar muito desse hotel. Ficamos no terceiro andar, sem contar um lance de escadas já na entrada para acessar a recepção. Detalhe: o maximo que um carro chega é a 300 metros do hotel. Então prepare-se para carregar malas e subir escadas. Ótimo para pessoas com pouca bagagem e bom preparo físico. Acessibilidade Zero. Mas, tudo isso eu já sabia. Não fui enganada. Só achei que estavam exagerando em outras avaliações. Mas, não estavam!!! 위치가 최상입니다. 리바거리 중심에서 바로 앞이라서 찾기도 쉽고 관광 중간에 들어와 쉬기도 적당^^ 호스트들도 친절하고 호텔처럼 일일 청소와 수건이 교체되서 좋았음. 욕실 수압, 물온도 만족. 시설은 낡았지만 있을건 다 있음. Lock in a great price for Central Palace Rooms – rated 8.6 by recent guests! Central Palace Rooms This rating is a reflection of how the property compares to the industry standard when it comes to price, facilities and services available. It's based on a self-evaluation by the property. Use this rating to help choose your stay! Located in the very heart of the UNESCO-listed Split, Central Palace Rooms is just 150 feet from the Riva Promenade. Housed in a 300 years old stone building, it offers air-conditioned rooms with free Wi-Fi and a flat-screen satellite TV. All rooms are renovated in 2011. They feature a private bathroom with hairdryer and free toiletries. Amenities include a safe, an electric kettle and a mini-bar. Some are decorated with stone wall elements and they offer either sea or city views. Laundry service is available. The nearest grocery store is 350 feet away. Fish market can be reached within 150 feet. Public parking is possible 150 feet from the property. Guests can easily explore Split’s vibrant center with numerous sights, restaurants and bars or relax at the famous Bačvice Beach, which is a 15-minute walk away. 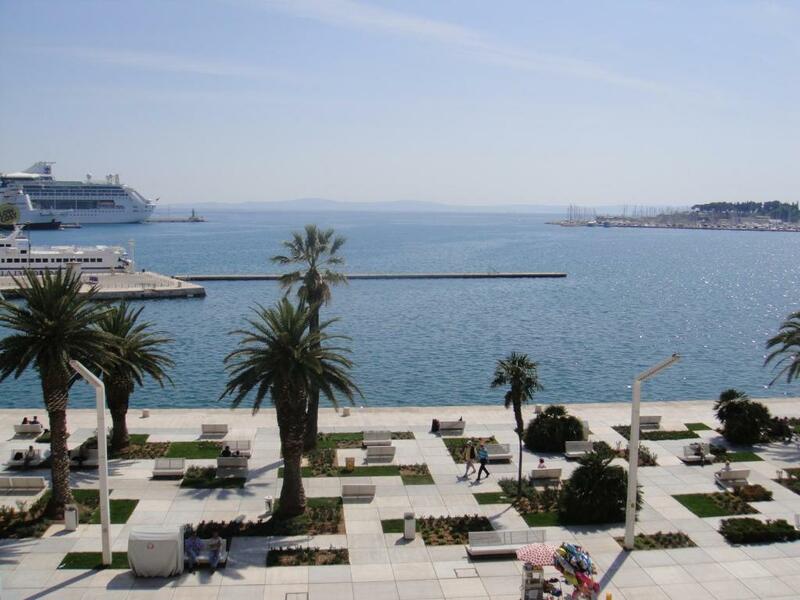 The Main Bus and Train Station, as well as Split Ferry Port are 1,000 feet from the Central Palace Rooms. Split Airport is at a distance of 12 mi and airport shuttle can be organized upon request and at a surcharge. This property also has one of the top-rated locations in Split! Guests are happier about it compared to other properties in the area. 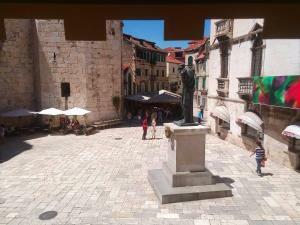 뀐 Located in the real heart of Split, this property has an excellent location score of 9.7! When would you like to stay at Central Palace Rooms? This air-conditioned room features cable TV and a bathroom with shower, hairdryer and free toiletries. Amenities include a safe, an electric kettle and a mini-bar. It offers city views. This quadruple room has a mini-bar, private entrance and electric kettle. This air-conditioned room with a flat-screen cable TV and a bathroom with shower, hairdryer and free toiletries. Amenities include a safe, an electric kettle and a mini-bar. It offers sea and city views. Svakako je lokacija ta sto ovaj objekat čini posebnim. 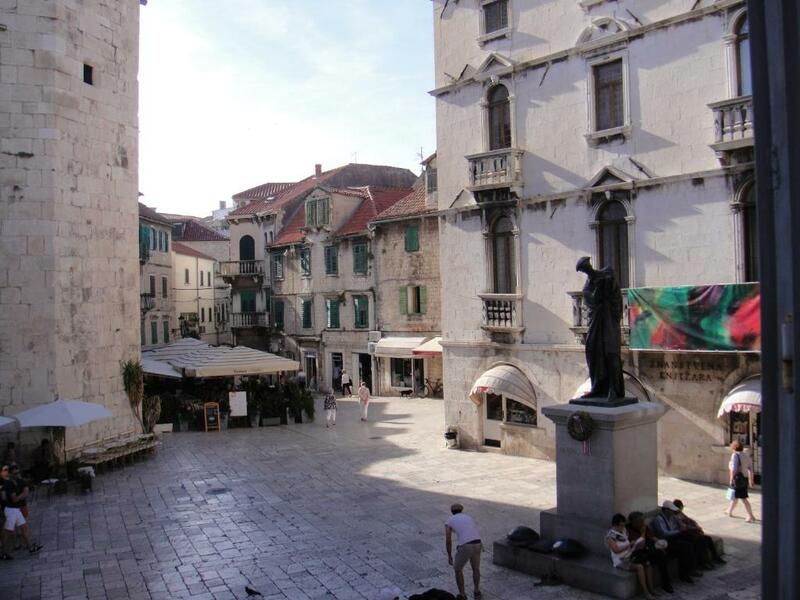 Split's old town has the world's most well-preserved Roman palace, built 1,600 years ago for the emperor Diocletian. The former palace now shelters shops, restaurants, and even private houses. House Rules Central Palace Rooms takes special requests – add in the next step! Please note that the check-in takes place at the B&B Kastel 1700 reception desk, set at the same address as the Central Palace Rooms. Please inform Central Palace Rooms of your expected arrival time in advance. You can use the Special Requests box when booking, or contact the property directly using the contact details in your confirmation. The size of the bathroom & toilet. Walking up several flights of stairs. Breakfast not included. Difficult to find the accomodation.